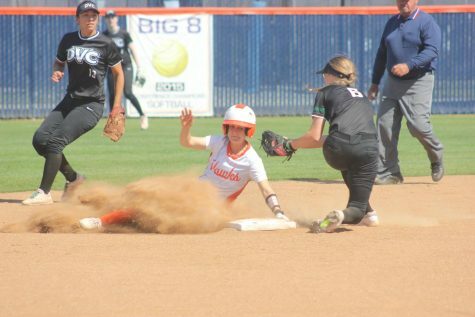 Cosumnes River College played Feather River College in the softball regional playoffs on Saturday. With a final score of 11-6, the Hawks took the first game in the best-of-three series. Consistent pitching, smart steals and well-placed hits won the game. 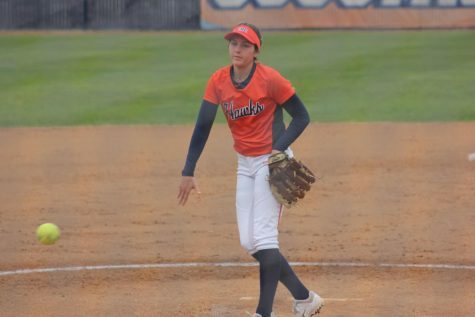 Right fielder Daniella Medina gave the Hawks a head start on the scoreboard when she stole home in the bottom of the second, and catcher Courtney Beatty followed up with a score on outfielder Ashley Akers’ single to lead the Golden Eagles 2-0. 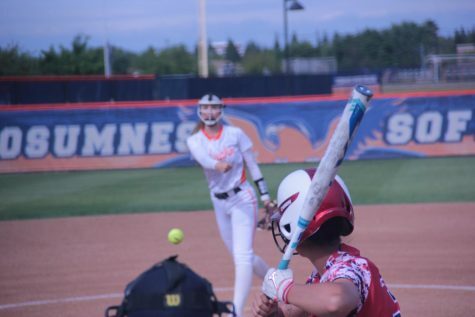 Center fielder Amber Wright and shortstop Kaitlin Pires singled in the bottom of the fifth and then took advantage of zero outs, with Pires stealing second and Wright scoring on a home steal. First baseman Raechel Hooper brought Pires and Kacey Lutz home with a home run to left, and the Hawks led comfortably at 6-1. But Feather River was ready to hit too. 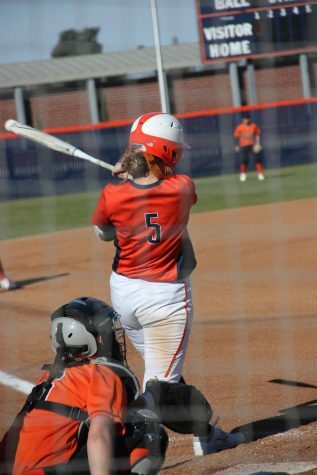 Pitcher Morgan Greene hit a single, driving in first baseman Annie Enos. Torri Parman, Cristal Perez and Greene scored on error by Medina, cutting CRC’s lead to 6-5 in the sixth inning. 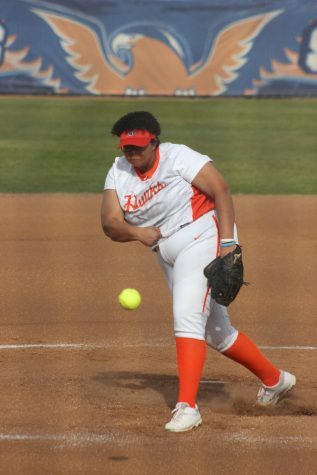 With the game close, Hawks pitcher Angelica Dark said she felt pressure to close the top of the sixth. She worked with Hooper and Pires to get the second and third outs in the top of the sixth. “It was a little nerve-wracking at first, but then I remembered I have a good defense behind me. And we were still up,” Dark said. 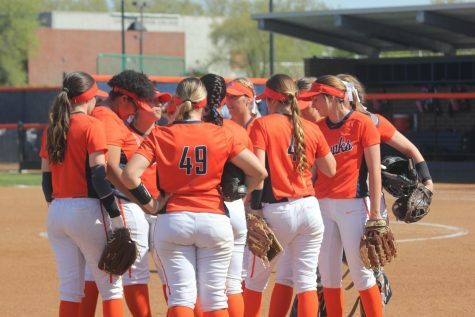 The Hawks stayed focused in the bottom of the sixth, with Wright advancing to home and giving CRC a two-run lead. Lutz scored on a single by Beatty and Lindsay Lambert doubled with a line drive, helping extend the Hawks lead to 10-5. Lambert then came home on Alex Scardina’s line drive and the game ended with a final score of 11-5. 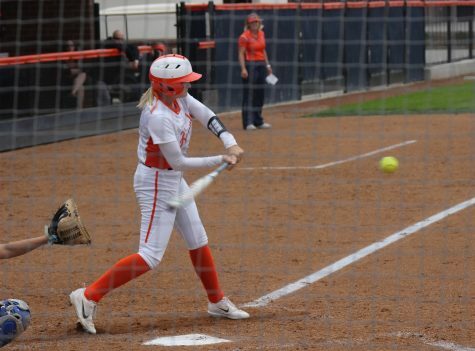 “I thought we were having good at-bats all game long and so I was really happy with the team, that they came up there and didn’t get frazzled after they came and scored the runs and almost tied it up,” Schroeder said. “So the main thing was ‘hey, let’s keep doing what we’re doing, and things will work out.’ And they did,” she said.